When the band is not playing shows they are giving back to the community. 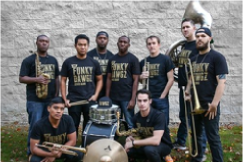 The Funky Dawgz aim to connect, engage, inspire and rejuvenate music education in inner city schools across the country. The band frequently gives performances and master classes to young musicians in elementary, middle, and high schools across the region. Come see what all the hype is about. 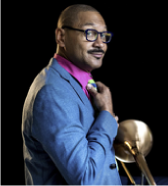 With trombonist Delfeayo Marsalis; alto/soprano saxophonist Khari Allen Lee; alto saxophonist Jeronne Ansari; clarinet/tenor saxophonist Gregory Agid; tenor/baritone saxophonist Scott Johnson; baritone saxophonist Roger Lewis; trombonists Terrance Taplin, Jeffery Miller, T.J. Norris, Maurice Trosclair; trumpeters Andrew Baham, Scott Frock, Dr. Brice Miller, John Gray; pianist, Meghan Swartz, bassist David Pulphus, and drummer Wild Willie Green. His hard-swinging Uptown Jazz Orchestra is a mainstay in New Orleans jazz clubs like Snug Harbor. The UJO is a big band that emphasizes groove, riff playing, and the polyphonic improvisation of the New Orleans jazz tradition. The vast majority of the musicians are Louisiana natives, and they range from extremely talented young students to respected jazz veterans, continuing the long jazz tradition of onstage apprenticeship. UJO shows are always a good time, and the band’s soulful soloists get audiences cheering throughout the set. 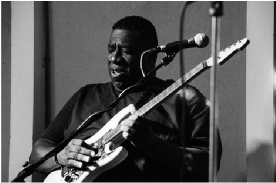 Playing in New Haven Funk bands such as “Good News” and “The Lift” (which included saxophonist Marion Meadows), Lawrence soon developed into a first-call axeman for several of the most active players on the contemporary music scene. He has continued to perform with Meadows, while also cultivating associations with other notables like George Duke, Diane Reeves, Jonathan Butler, Alex Bugñon, Freddie Jackson and Najee. It was in Najee’s band that Lawrence met “Bread” of the duo “Bread & Butter”, who are the producers on his Atlantic debut. Since arriving in Boston just over two years ago, Lawrence has been performing regularly with “Bread & Butter”, primarily at noted local nightspot Wally’s“immortalized on the tune titled “Waitin’ On Wally”. 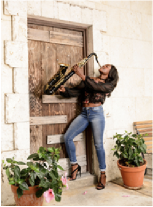 Jazmin Ghent, saxaphonist is one of the hottest national smooth jazz and gospel recording artists today. According to Euge Groove, “She provides much needed real deal youth in the genre. She definitely knows how to bring on the “Heat”. She has 2 Billboard topping singles, “Heat” and “Compared to What” and has recorded 3 CDs. “Heat” remained on Billboard Charts for 20+ weeks. Jazmin has performed at various major festivals throughout the country and in Europe. In addition to performing, she teaches music in Polk County Florida to elementary students in grades K-5. Jazmin was voted 2017’s BEST NEW SMOOTH JAZZ ARTIST. Jazmin received a bachelor’s degree from Florida State University and a Master’s Degree from Tennessee State University. Her latest CD, “The Story of Jaz” includes collaboration with Phillippe Saisse, Kim Scott, James P. Lloyd and Jeff Lorber. The CD was recorded and produced by Ron Jenkins and Euge Groove at “The Groove House”. 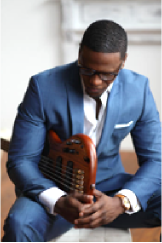 Julian Vaughn, a dynamic lead bass player from Kansas City, bassist Julian Vaughn has made a international name for himself since 2010 as a bassist in the smooth jazz which is dominated by artist who play sax. Although the bass is often associated with funk, Vaughn likes to play with more of a finesse style as well as some funk. 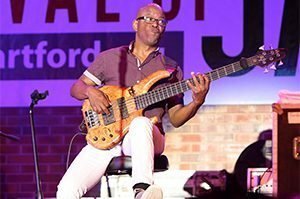 Julian Vaughn has toured all over the U.S. playing at some of the largest jazz festivals and abroad in places like Dubai, Nairobi, Italy, Spain and Germany. As an artist, he debut on the scene in 2010 with his CD titled “The Purpose Project” an album that would later pave the way to his 2012 album “Breakthrough”. Vaughn has had 2 number ones on the Bilboards. His hit single “On Your Feet” made head waves as the #1 most added out of the box on the Jazz Billboards Chart and stayed there for 3 weeks along with the single “Ride Along” which debut at number 1 from his CD titled “Limitless” in 2015. In 2017 Vaughn released his 4th record titled “Bona Fide”. Bona Fide ended up delivering 3 top 5 Billboard singles including “18th & Vine which was selected as the #7 single out of the top 100 songs of 2018 on Billboards. Vaughn is expecting to release his 5th album in April 2019, which he says will be his best! Vaughn takes pride in being able to write and produce most of his music. “I want to be known as a great writer and producer just as much as I am an artist”. As Vaughn’s recording catalog continues to grow he still wants to continue to redefine the lead bassist role in the smooth jazz genre. 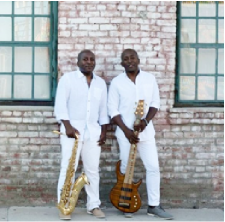 The San Francisco-based smooth jazz duo of twin brothers Nelson (bass) and Wayne Braxton (saxophone) first took shape when both siblings joined the school band during the fourth grade. By high school, each was a perennial member of the California All-State Honor Band; while Wayne went on to Cal State Northridge, performing as a member of the school’s celebrated Jazz A Band, Nelson instead studied tuba at San Francisco State University, later touring Europe as part of the San Francisco Symphony Youth Orchestra. The brothers were later reunited at SFSU, collaborating there in a jazz quartet; they were also both honored as selections to the Disney All-American collegiate band. 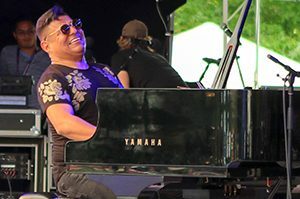 Upon turning professional, Nelson toured with Najee, while Wayne worked with Sheila E.; as the Braxton Brothers, they debuted in 1996 with Steppin’ Out, which was originally released on the tiny Kokopelli label but later licensed for reissue by Windham Hill, where it generated the NAC smash “When Love Comes Around.” Now and Forever followed in 1999. Studio 86O is a unique hip hop based competition dance school located in Bloomfield CT that caters to recreational dancers, fitness enthusiasts, and dancers seeking professional training in a fun, creative and positive environment. We pride ourselves on offering high quality dance instruction while providing a personal commitment and a valuable experience to all students. Personal Touch was officially formed in 2016. The idea to create an old school-style R&B group as well as record their own CD, developed a couple of years earlier while Rex, James and Kevin were members of the Massachusetts-based Jus Us Band. During their 12+ years with Jus Us Band, they opened for Howard Hewitt, Harold Melvin’s Blue Notes, The Manhattan’s and other legendary groups. They were also the sole entertainers at the annual Basketball Hall of Fame Enshrinement Ceremony for nearly 10 years. These seasoned performers also closed out the Saturday festivities at the Greater Hartford Festival of Jazz for more than 8 years. As Personal Touch, they have just completed their premier CD entitled ‘Better With Time’. The recording has a combination of cover songs with the Personal Touch flair, along with a spectacular original titled ‘Take Me Back’. Personal Touch has also contributed background vocals to the recordings of two artists; the incomparable Kenny Hamber and French recording artist ‘Lou’. Lastly, they have recently signed with Michael Yorkell and Hipshot Management and have many impending performances nationwide. So now the excitement builds for what lies ahead in the future of Personal Touch. One thing is for sure, it’s going to be a fun ride! 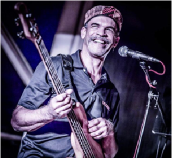 Steve Clarke, Bassist and Composer was born and raised in Bridgeport CT. Has played and taught music solely for over 25 years. He began his music studies at Housatonic Community College where he had the honor to play with Jimmy Heath, Clarke Terry, Sonny Constanzo. After graduating he continued private lessons, studying music on his own, as well as writing, producing & audio engineering. Steve has performed with Sherry Winston, Marion Meadows, Vincent Ingala, Phillip Denny, Tom Browne, Estaban, Victor Fields, The Five Satins, Ben E. King, The Drifters, Coasters, and Sam & Dave and many local bands weekly as well as playing a solo performance every Monday & Saturday for the last 2 years. Zaccai Curtis, pianist has been performing on piano since the age of five. As a high school student, he was recognized by Down Beat Magazine as a top young performer and chosen as the pianist for the National Grammy Band Small Combo. After graduating from New England Conservatory in 2005 with a Masters degree, Zaccai moved to New York City where he performs regularly with Donald Harrison, Cindy Blackman Santana, Eddie Palmieri, Christian Scott, Ralph Peterson, T.K. Blue, Brian Lynch, Ray Vega, Eric Person, and others. Curtis composes and arranges for his own quartet, trio, Big-Band and more. In 2003, he won the ASCAP Young Jazz Composer’s Competition and received the honor each year through 2006. The Curtis Brothers Quartet was selected by the U.S. State Department to participate in the American Music Abroad (Jazz Ambassadors) program for two tours in 2006 to places as far flung as the Maldives. He was also awarded the Connecticut Commission on Culture and Tourism’s Artist Fellowship and recently the prestigious Doris Duke/ Chamber Music America New Works grant. Zaccai performs his own music with the Curtis Brothers Quartet and recently released Syzygy (2017) following three successful releases: A Genesis, Blood Spirit Land Water Freedom and Completion of Proof, all on the Truth Revolution label. Founded with brother Luques, the label has developed a recording collective of musicians who produce music on their own terms. He is proud to have produced a Grammy-nominated album, Entre Colegas, released on the label in 2016. This year, he created the first-ever music news app – TRRcollective – available on iTunes and android. 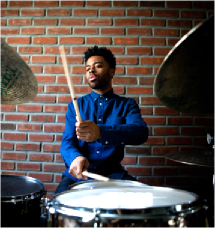 Jonathan Barber, Drummer is Hartford born and New York City-based and was voted the #1 Up-and-Coming Drummer of 2018 in Modern Drummer. Only 28 years old, he has already recorded and toured worldwide with such artists as Buster Williams, Jeremy Pelt, Wallace Roney, J.D. Allen, Ter-race Martin, Nicholas Payton, Marcus Strickland, Abraham Burton, Harold Mabern, Steve Davis, Stefon Harris, and many more. Barber has also been called on for such significant performances as Jimmy Greene’s Ana Grace Project (with an all-star band comprised of Greene, Kenny Barron, John Patitucci, and Kurt Elling) and back-to-back sold-out concerts with the Brooklyn Philharmonic and Erykah Badu at the BAM Opera House. Vision Ahead is an ascendant New York jazz quintet led by Modern Drummer’s #1 Best Up-and-Coming Drummer of 2018, Vision Ahead a distinctive and close-knit group of musicians who have been working toward this moment for years. Featuring Godwin Louis on saxophone, Andrew Renfroe on guitar, Matt Dwonszyk on bass, and Taber Gable on keys and piano, Vision Ahead offers a fresh blend of classic jazz with elements of gospel, rock, soul, and fusion that’s already attracting listeners across generations. Even when they’re playing hard – and they do reach some thrilling crescendos – this extremely dynamic band always feels impeccably sharp and in control, cool far beyond their years. Barber also shows quite a gift for pacing in his new compositions, with each song boasting a real sense of progression that’s balanced with a proper spotlight on his bandmates’ noteworthy improvisations. 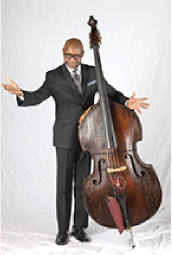 Nat Reeves, Bassist has built a successful career touring the world with some of the most important figures in jazz in the last half-century. His work as a prominent educator at The Hartt School, Jackie McLean Institute of Jazz has spanned over 35 years. As a bassist, he is regarded as a precise accompanist, known for his impeccable time, deep tones and great earthy, organic sound. 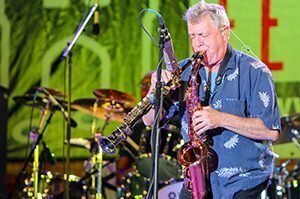 Nat credits his accomplishments to experiences acquired performing, touring and recording with many of the most important musicians of our time, most notably Jackie McLean, Kenny Garrett and Pharoah Sanders. He has performed at all the major jazz venues in the world and on over 70 recordings. Committed to carrying on Jackie McLean’s legacy at The Hartt School, Nat also looks forward to leading more recordings in the future and, in addition to playing with many of his favorite musicians, to work more often as a leader, “I’m still busy after moving to Hartford. Now at 63, it is time do more of my own projects.” Both as a performer and an educator, he has made a strong impact on the jazz world. 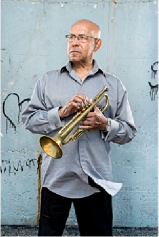 Eddie Henderson, Trumpeter is one of today’s top and most original jazz trumpet players. Born in New York City and son of entertainers, Henderson had good fortune to meet many famous musicians during his youth. At the age of 9, Henderson had his first informal lesson with Louis Armstrong and was inspired to develop his originality as a trumpet player. After studying music at San Francisco Conservatory of Music, Henderson met Miles Davis in 1957. Miles admired the strikingly beautiful tone and musicality of Henderson’s trumpet playing and encouraged him to pursue a career in music. Due to Miles influence on Henderson’s musical career he culminated a tribute album entitled “So What” which featured songs associated with the legend. In addition to Henderson’s musical career, he also served in the Air Force service from 1958 to ’61, Henderson became the first African American to compete for the National figure skating Championship, winning the pacific and Midwestern titles. The year 1961 was the beginning of Eddie pursuing dual careers-medicine and music. After receiving a Bachelor of Science in Zoology at the University of California at Berkeley in 1964, he got his M.D. at Howard university Medical School in 1968. Henderson received his first major musical exposure as a member of Herbie Hancock’s trailblazing Mwandishi sextet, an ensemble that also included young innovators such as Bennie Maupin, Julian Priester, Buster Williams and Billy Hart. Henderson has played jazz performers include Pharoah Sanders, Art Blakey, Elvin Jones, Johnny Griffin, Slide Hampton, McCoy Tyner, Benny Golson, Joe Henderson, Max Roach, Jackie McClean, Dexter Gordon, Roy Haynes. Mike Clark, Drums originally from Sacramento and resides in New York gained worldwide recognition as one of America’s foremost jazz and funk drummers while playing with Herbie Hancock and The Headhunters in the early seventies. Venture, Mike’s collaboration with vibraphonist Mark Sherman, saxophonist Chase Baird, and bassist Felix Pastorius, releases “Life Cycle”. He will also be featured on Eddie Henderson’s “Be Cool”. Along with James Brown’s drummers Clude Stubblefield and Jabo Stark, Mike’s funk beats with The Headhunters (most notably “God Make Me Funky”) include some of the most sampled in Hip Hop History. Mike is a popular and busy clinician. His book Funk Drumming Innovative Grooves and Advanced Concepts was published by Hal Leonard. He endorses DW Drums, Istanbul Cymbals, Evans Drum heads and Innovation Percussion drumsticks. 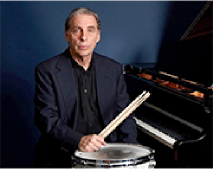 Peter Zak, Pianist and bandleader born in Los Angeles and grew up in Columbus and Kent, Ohio. At the age of 5 his mother taught him him the basics of piano playing and reading music, and after six months, he began a decade-long series of private lessons, including a period with internationally renowned concert pianist Margaret Baxtresser. After the family moved to Oakland when Zak was 16, he developed an interest in jazz when his high school band director showed him how to play the chord changes to Stella by Starlight. Studies with Susan Muscarella, now president of the California Jazz Conservatory, followed at UC Berkeley, where he also played in the UC Jazz Ensembles and earned a B.A. in history. He was soon gigging around Northern California with saxophonist John Handy, among others. Since relocating to New York, he has performed and/or recorded with Junior Cook, George Coleman, Jimmy Cobb, Billy Hart, Ryan Kisor, Etta Jones, Scott Hamilton, Peter Bernstein, Al Foster, Eric Alexander, Curtis Stigers, Walt Weiskopf, and Jon Hendricks, among many others . Peter is also a faculty member in the renowned jazz program at New School University.Peter leads his own groups at various venues in and around New York, such as Smalls, Mezzrow, The Kitano, and Smoke, as well as leading national and international appearances, including recent performances at the Copenhagen Jazz Festival, the Zacatecas jazz festival in Mexico, and a tour of Canada as a co-leader with saxophonist Walt Weiskopf. At the same time, he has been performing regularly as a sideman with a host of other artists, including Jim Snidero, Peter Bernstein, Ryan Kisor, Jimmy Cobb, Walt Weiskopf, Carlos Abadie, Doug Webb, and many others, both in the U.S and internationally. In 2011, Peter performed with the Brooklyn Philharmonic as the featured soloist on Gershwin’s I Got Rhythm Variations. Returns on July 21 Mark your calendars now! The incredible Jazz Mass featuring Ross Tucker and the Hot Cat Jazz Band will be held on Sunday, July 21, at 10:30 a.m. Note the service time change. If you’ve been at the Cathedral for a previous Jazz Mass, that’s all you need to know: you’ll want to be there. If this will be your first time, take our word for it: you won’t be sorry! Come early and be prepared to have a joyous and uplifting experience! The preacher that Sunday will be the Rev. Susan Pinkerton, Rector of St. John’s Episcopal Church, West Hartford. The Celebrant will be the Rev. Tracy Johnson Russell, Rector of St. Monica’s Episcopal Church, Hartford. Other area churches will be participating. 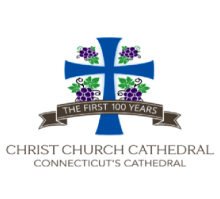 The Cathedral’s Jazz Mass is part of the famous Hartford Jazz Festival that this year takes place Friday-Saturday, July 19-21, in Bushnell Park. Thousands of persons attend the free event.